The creators of the PBS Kids show, Peg + Cat, had an excellent time recording in our Mezzanine Studio this month. 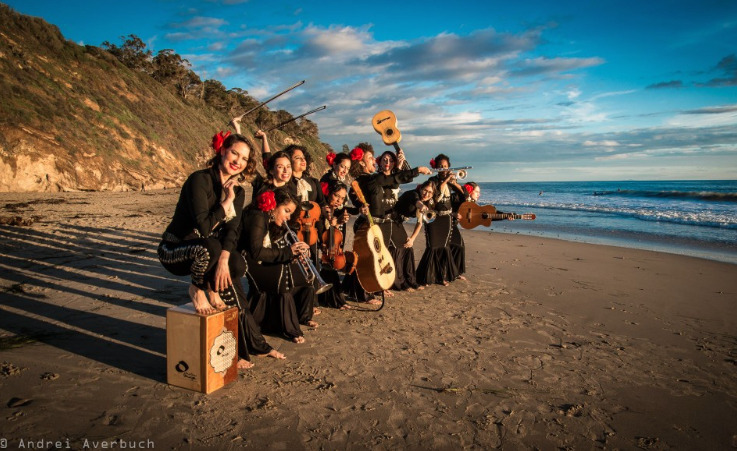 Engineer Adrian Thorstensen had the opportunity to speak with the music director for the show J. Walter Hawkes, and record the NYC based mariachi band, Flor De Toloache. Flor De Toloache was the musical feature on this episode of Peg + Cat. The band is comprised of talented musicians in the NYC area with passion for performance, and Latin culture. Their debut album, Mariachi Flor De Toloache, reached #2 on the iTunes Latino Charts. The all female group tours regularly, you can see them preform at the Brooklyn Bowl to the 2016 Latin Grammys. Peg + Cat is a popular children’s television show based on the book “The Chicken Problem”. The show emphasizes math skills for ages 3 to 5 years old and seeks to inspire a child’s natural curiosity.